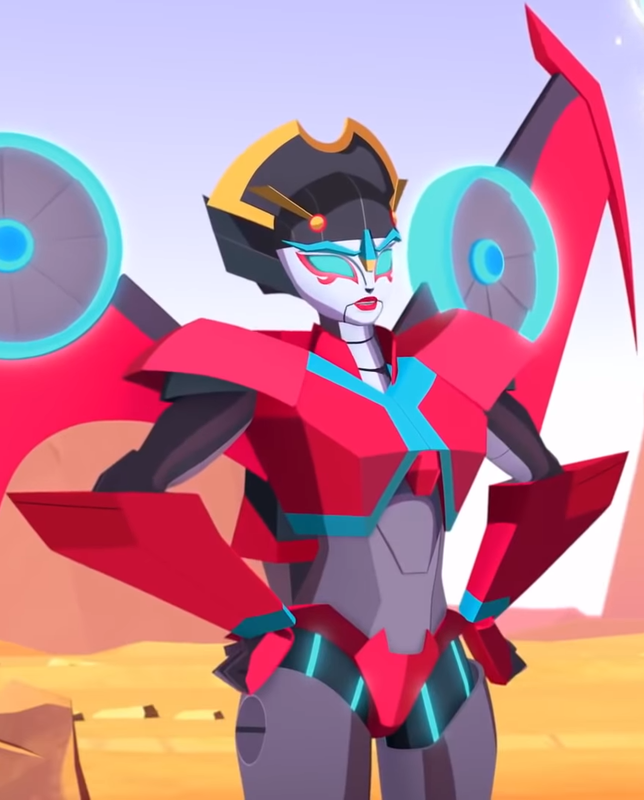 She's Fantastic: Transformers Warrior Class - WINDBLADE! 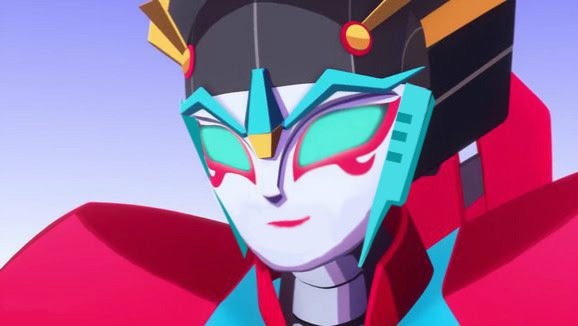 Transformers Warrior Class - WINDBLADE! I'm really excited for the Transformers: Cyberverse line. It's only been hitting the shelves three months, but I already have several great new animated-style female figures (Ultra Class Shadow Striker, Scout Class Windblade, and this Warrior Class Windblade), plus two more on the way (Scout Class Shadow Striker and an Ultra Class Slipstream). The only unfortunate thing is that there has only been one female character announced in this Warrior Class scale so far. This scale is the ideal version in my opinion. It's large enough to have great details and articulation, but small enough not to be clunky (like the larger scale animated figures tend to be). They also fit in very nicely with the typical "Deluxe" Transformers scale. I'm really hoping that the two remaining first-string female characters (Shadow Striker and Slipstream) get the Warrior Class treatment eventually. As seen in the group pic below, Windblade has really become an A-list character in the Transformers world. Let's check out this newest incarnation below! Here are three Cyberverse ladies representing three scales: The Ultra Class Shadow Striker, the Warrior Class Windblade, and the Scout Class Windblade. All my Windblades - from Left to Right: RID Legion Class, Titans Return, Tiny Titans, RID Deluxe, Cyberverse Warrior, Generations, RID Deluxe v2, and Cyberverse Scout Class.